As signatories of this appeal, we fully support the combat of our friends in Create Denmark, which gathers a large number of organizations representing cinematographic and audiovisual creation in Denmark, and demand that all broadcasters, media service providers, and producers operating in Europe be required to comply with applicable laws, union rules, and collective agreements, and regulations in each Member State. Let us never forget that our sovereignty is at stake! The legitimacy of our laws, rules and virtuous ecosystems is in peril. We have built them year after year, and they ensure the representation of our multiple national and regional identities whose variety composesEurope’s cultural diversity. We are glad to welcome new players and new financing into the European creative arena, but on one condition: that the various broadcasters, media service providers, and producers, whatever their economic models, shareholders, or broadcasting models, understand and accept the fact that there can be no creation without respect for all the stakeholders of the industry. The essential principles of the equity, transparency, and legality of European production and broadcasting cannot be sacrificed on the altar of new financing. 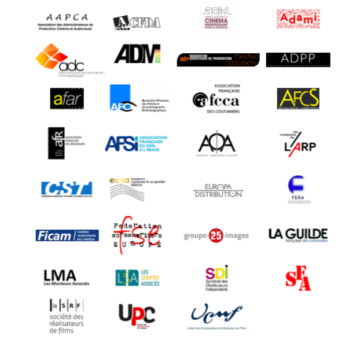 The stakeholders of the European creative industry will always be united to defend their sovereignty through their laws and agreements, and they will never surrender to unbalanced power relationships which, through opaque contracts and illegal clauses, jeopardize our talents and our technical industries, that is to say, the survival of our sector’s diversity. Download the PDF version of the Joint Statement here.